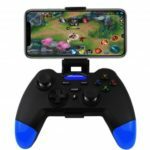 Enjoy hours of gameplay with this MOCUTE 058 Gamepad. High speed and reliable Bluetooth transmission can support 2-10 meters wide range of control from the operation. Ergonomic handle with anti-slip texture, comfortable to play. 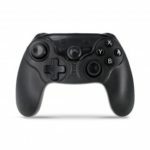 360 degree high precision joystick makes playing game more enjoyable. Made of high quality ABS material, it is non-toxic and durable to use. 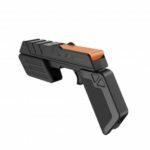 High speed and reliable Bluetooth transmission can support 2-10 meters of a wide range of control from the operation. 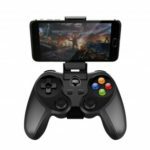 Precise 360 degree joystick control with super quick button response design, provide you a better game experience. Built-in 400mAh lithium battery, provide 40 hours continuous playing time when full charged. Retractable design, fit for up to 6.8 inch cellphones and length between 140-192mm. Support thickness up to 13mm, no need to take off the phone case. Humanized hole design on the right side, enables you playing while charging your phone. 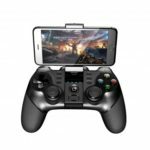 It is widely compatible with Android and iOS smart phones and support the vast majority of games.